I am predominately an online seller. I find it very difficult and quite time consuming to participate in craft fairs/shows. 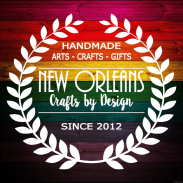 However, every now and then I feel the need to get out there and network and socialize with others in the crafting community. I find it very interesting when first arriving at an event. Everyone is looking to see what you are selling and if your item is better than theirs. Generally speaking, most of the other vendors I have encountered at various events were very friendly. That being said, there are others, usually those that have similar items that you are selling, that are a bit standoffish. As a wreath maker, I want to see others with wreaths (not too many of course) and welcome a visit and not just a quick walk past my booth and a half mouthed smile. I am sure that some people do more shows than I do so they pretty much know each other and immediately begin to socialize. As the relative newbie and usually only guy, other than the woodworker types, I immediately feel quite out of place. Thankfully, I have been positioned next to some really nice people and quickly strike up a friendship, at least for the day. The events that I have been able to attend, usually smaller school and church craft fairs and shows, seem to be very cliquish. I can't speak for the larger juried craft shows but maybe if I were to attend one then my opinion would change and I would love participating. But for now....not so much. My most recent event was for a local school. I happened to come across a Facebook post and decided to give it shot. I had plenty of time to prepare and was available on the date of the event. The price of the booth rental was very reasonable. They also offered table rental, which is necessary for me since I only have a small car and am not able to transport my displays, wreaths and a table. The day of the event was overcast and there was a chance of rain predicated for the entire day. I requested an outside booth under a covered walkway which I figured would be prime real estate because there would be lots of foot traffic. However, with the chance of rain I was offered an inside spot, which I gladly took. I did not want to have to worry about my wreaths getting wet. I did not take into account the fact that since I was a last minute inside booth that I would be relegated to the far back corner of the smaller of two of the schools gymnasiums. I was pretty much the last booth that people would encounter, if they even made it that far into the event. I was set up right next to some guy selling solar energy panels for homes. 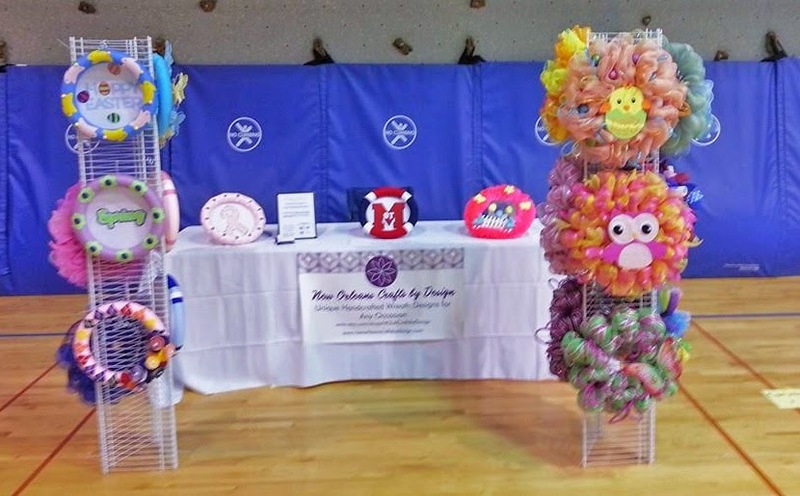 How this was even a booth in a craft fair that advertised and specifically stated on the application that all items were to be handmade is a huge issue for me. I soon realized that the typical "used car" type salesman next to me was a parent as well as a school volunteer. Ah....now I completely understand. It is all about who you know. I soon realized that it really didn't matter where my booth was located, it was not and never would have been in a prime location. Those spots were for people in the know and had some prior relation to the school. Point taken!!! Throughout the event he was pleasant for the most part, but definitely a salesman. He kept telling me how much he liked my wreaths but had no use for them. Ok, third time I hear that....got it fella. At one point I needed to take a quick break and he politely offered to watch my booth while I stepped away. On my return he advised me that there were a few people to stop and ask questions but was pretty certain that everyone thought that my items were over priced. No one had mentioned it to him but he could just tell by the look when they passed. (Just a note: I tend to price my items near or even a bit lower than similar items that are currently available on Etsy.) He also told me that I didn't have enough price points. I had two types of wreaths to offer and nothing else. I needed some kind of $5 through away item. Sure, but that is not what I make. I make wreaths. Why would I spend time making some crap when I make wreaths??? Later in the day, after he went for a walk, he told me that the wreath booth in the main gym was selling tons of wreaths but did preface it by saying that he didn't think it would help matters for me. Really, you think so. I have been here since 6:00 a.m. and spent weeks preparing not to mention packing and setting up to get maybe 2 people pass my booth every 30 minutes or so, if that many. Did you really think that was something that I needed to hear? Anyway, enough about the solar energy panel salesman. I did learn a few things from this experience where I sold one wreath in an 8 hour day. 2. Yes, I can definitely make larger, lower quality wreaths in bulk so there are wreaths everywhere. 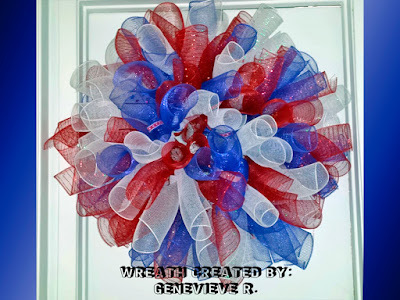 However, I tend to take pride in my work and focus on high quality wreaths that are made to last. That is just who I am and that will not change. 3. I will do a little research about the event I am planning to attend. If I do a Google Search a few weeks prior to the event and come up with nothing, then more than likely there will be a poor turn out because there is virtually no advertising other than word of mouth. So for this particular event it was mostly friends and families of the school that even knew there was a craft fair that day. 4. I will definitely make another large sign stating that "Yes, I did make all of these wreaths myself." I may even change the name of my business to "I Made These Myself" just so I don't have to answer that question 20 times in a day. 5. I need to also take into account the number of vendors present in relation to Number 3 mentioned above. No advertising for an event that featured over 70 vendors meant that at any one point in time there were always more vendors present than visitors. Even when I walked to the main staging area there were never more than maybe 20 people actually shopping at one time. Not good odds for the people located in the back corner of the second area. I always have high expectations going into these events but leave feeling a bit underwhelmed. I am not angry or mad but a bit disappointed in the day in general. On the positive side, I did meet some really wonderful and friendly vendors near me in the far corners of the school gymnasium that helped make the day go by a little faster. So that is my little rant for the day. I will take this as a learning experience and continue to do what I do. I will not stray from who I am in terms of my crafts and will not lower my quality or my expectations. Who knows, maybe I will sell out at my next event, if I choose to do another.